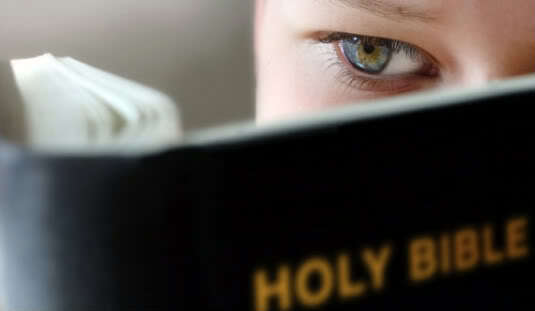 provides a unique opportunity to read and re-read the Bible through fresh eyes. The weekly reading guide creates a fresh approach that reads Scripture across the sweep of The Story – from the Old Testament through the Psalms and within the context of the New Testament and the Gospels. Discover the ways Scripture evolves in its understandings as the Bible makes its own journey across the ages. Charlotte’s weekly blogs ponder the ancient biblical stories and offer new insights from a progressive understanding of Scripture. Charlotte muses about the many ways God’s Story intersects all of our various human stories. Follow The Story of God’s welcome and grace that emerges from the faithful but stumbling story of God’s own people throughout the ages as chronicled within the pages of the Bible. I am bewildered by the so called gospel of prosperity, fundamentalism and mega churches. There is so much hatred directed at poor people in this country that it is sometimes frightening. I’ve never been a big bible reader, but I’d like to read what you have to say about the gospels and Jesus’ relationship to the poor. My faith needs to be restored, but I’m having a hard time getting started. Can the gospels take away the state of chronic fear that I and so many others live in these days? Donna, I too am often bewildered. But then I compare our own troubled days with the culture and context of the New Testament and I see some interesting comparisons. In the time of Jesus, Rome was pre-eminent. It was “secular” in the sense that government functioned with standards of wealth and power. It was “religious” in that public leaders at least gave lip service to the many gods of Rome. It was “theocratic” in the sense that later emperors claimed divine status and demanded worship as well as obedience. Under the philosophy of Pax Romana, all religions and ideologies were given room as long as they did not challenge the ultimate power of Rome. Matthew 5:38 “You have heard that it was said, ‘An eye for an eye and a tooth for a tooth.’ 39 But I say to you, Do not resist an evildoer. But if anyone strikes you on the right cheek, turn the other also; 40 and if anyone wants to sue you and take your coat, give your cloak as well; 41 and if anyone forces you to go one mile, go also the second mile. 42 Give to everyone who begs from you, and do not refuse anyone who wants to borrow from you. Matthew 5:43 “You have heard that it was said, ‘You shall love your neighbor and hate your enemy.’ 44 But I say to you, Love your enemies and pray for those who persecute you, 45 so that you may be children of your Father in heaven; for he makes his sun rise on the evil and on the good, and sends rain on the righteous and on the unrighteous. Instead of spending much time talking about governments, Jesus seemed to have spent a good deal of time and energy confronting those who shared his Jewish faith and culture. He spoke compassionately about those who lived on the bottom and were relegated to the edges. He spoke with bold challenge to religious leaders who used their power and position to exalt themselves and dismiss or abuse others. He aligned himself with the lost, the lonely and the left out. “If you want to understand God; if you want to see who God is and how God acts and what/who God values, then look at me,” Jesus seemed to say. It was a huge challenge for the religious insider/power brokers of his day. This paradigm continues to be a huge challenge to insiders and power brokers of our own day. Aligning with the lost, lonely and left out is not a popular position. The prosperity gospel of America actually has some root in the politics of the 1930’s. You might want to read my book review of an important work by Kevin Krause: One Nation Under God. Actually the entire book is worth your time. Many (but not all) mega churches promote this popular, entertainment-based, cultural way of doing Christianity. It fits right in with our American materialistic society. American Fundamentalism emerged in the 1920’s as a response to liberal, academic critical thinking about the Bible and Christianity. The new discipline of Historical Critical analysis of Scripture threatened many Christians who preferred to take the Bible at its word: it says what it means and means what it says. Conservative scholars from Princeton University wrote a detailed work called The Fundamentals and spelled out their position in contrast to the emerging Liberal position. This definition of Christianity still is a foundation for many Conservative, Evangelical Christians. In my opinion, Conservative Christianity, Evangelical Christianity, even Fundamentalist Christianity are not the problem. What is a huge problem for America, what is an even bigger problem for the Church is the way these groups have conflated Christianity and American nationalism. Christianity in its earliest days was a protest movement to the prevailing culture. It wasn’t until the Emperor Constantine made Christianity the Empire’s official religion that it gained political and societal status. I see this as a deep danger for authentic faith. Instead of providing a prophetic witness to challenge and critique the culture, Christian leaders were seduced by the advantages of wealth and power. Christian history repeatedly demonstrates how deadly this alliance can be. The prophetic voice of the Bible – from the Old Testament all the way through to the New Testament – understands the “faithful” as a “remnant.” I work to be persistently self reflective, evaluating myself to see if I am properly representing the minority view. This is my goal, my hope. But it does take a consistent intentional effort. It’s all too easy to let ourselves be seduced by what is comfortable. Thanks again for your comment. May Spirit keep guiding us both into greater understanding and better living.